Photo of the Month 2017 — Food What?! YOU FUEL YOUTH TRANSFORMATION AT FOODWHAT. YOUR IMPACT IS HUGE. As we collectively cross the finish line into 2018, a huge smile of thanks and warm wishes for a Happy New Year! december: This is what youth PLAY looks like! Manny (left side) in the Hula-Hoop Pass game this summer! "Since I was a kid I haven’t had much of a chance to just mess around...to be a kid. Life’s been hard. But in this job I’ve upped my level of maturity, opened up a lot more, and learned how to have a serious conversation. And the cooking is fun like when I'm with my mom in the kitchen!" YOU FUEL YOUTH TRANSFORMATION AT FOODWHAT. YOUR IMPACT IS HUGE. THANK YOU. BONUS SHOT: SPONTANEOUS SALSA PARTY AFTER DINNER WITH URIEL SHOWING IRENE AND THE YOUTH HOW IT'S DONE! november: This is what youth HOPE looks like! Road trip to the conference 2017! With a few of my foodwhat?! Family! What a great experience I had being there. Nothing but love and support from each other. Together we can change the world for a better place we can make it. Youth power! I do have hope! FoodWhat youth leaders, Abi and Iris, join Executive Director Doron Comerchero to receive a "Be the Difference" Award recognizing the "Top 50 People, Groups and Businesses who do the most to transform Santa Cruz County through volunteerism." FoodWhat received special honors at the recent 2017 Awards Gala as one of five outstanding nominees from the top 50 volunteer champions. FoodWhat summer youth ascend to the next level of our graduated leadership and job training model holding 48+ paid management roles this fall! Mason and Mayra run the Tuesday flower bouquet business harvesting flowers they've been growing all season, making beautiful arrangements, delivering them to local businesses, and then taking lead on all accounting. Iris, Rosa, Evelyn and Abi (not pictured) are the FoodWhat Farm Managers at our North County site this fall. 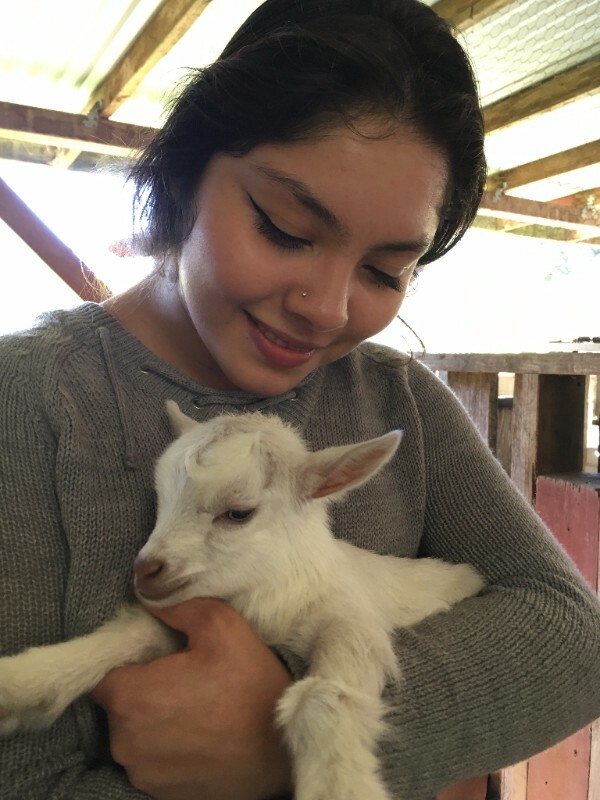 Over the past two months they have been managing the fields, irrigating, weeding, implementing the crop rotation, cover cropping for winter and leading weekly harvests for the FoodWhat low-income farm stand at Gault Elementary. Ozzy, Natasha, and Eustolia -- part of the Food and Catering Crew -- making complimentary FoodWhat grown popcorn to distribute to families at the opening night of the Watsonville Film Festival downtown! In the shadow of Charlottesville, FoodWhat is steadfast in our commitment to creating spaces for youth to come together, to raise their voices, and to build solidarity locally and nationwide. As a youth empowerment and justice organization, every day we work diligently to create safe space for youth and take action for food & racial justice. Just last month, four youth from our Summer Job Program traveled to Greensboro, North Carolina to be part of the Rooted In Community National Youth Summit. They joined 140 other teens, from every corner of this country, who are also working towards food justice in their communities. Together, this strong cohort of youth and adult allies shared stories, created community through good food, and built collective power! The theme of the conference was "Cooperatives, Collectives, Community and Resilience." FoodWhat youth and staff explored the history of the Civil Rights Movement in Greensboro, and participated in a Day of Action march and rally in front of the former Woolsworth, where students engaged in 1960 to demand dignity and racial justice. Back home in Santa Cruz County they reconnected with the other summer youth as they continued the struggle for justice with greater agency. Summer Job Training Program in Full Effect! And a heartfelt goodbye to Anna who has been our incredible Development Director at FoodWhat for the past few years. Anna has done an outstanding job in her time with us and we wish her the best. Anna has played a significant role in increasing our budget around $100,000 per year for the past few years to support program growth. She has helped transition FoodWhat from a fiscally sponsored project to an independent 501.c.3 non-profit. And she has built the systems and internal structures needed to anchor all this growth and development. Most importantly she has done all this work with great heart and connection to the community and the youth we serve...and as you can tell from this photo, with great style! It is my incredible privilege to share that FoodWhat has been selected by the Pajaro Valley Community Health Trust as the 2017 organizational recipient of the Phil Rather Leadership Award! This award, conferred annually, recognizes one individual and one organization that exercises exemplary leadership in promoting health and quality of life for residents of the Pajaro Valley - especially to those who are most marginalized – and who uphold the legacy of Phil Rather's incredible service and heart in serving the local Pajaro community. In receiving this award at the Health Trust on Wednesday night, FoodWhat was honored for our dedication and innovative approach in providing Pajaro Valley youth with opportunities to lead food systems transformation that fosters an environment in which all individuals have a relationship with, and access to, healthy food, and for FoodWhat’s impact on the youth we serve through their significant and lasting diet change and overall health transformation. This is what youth empowerment looks like! Joining FoodWhat Director, Doron Comerchero, in receiving the Phil Rather Award at the Pajaro Valley Health Trust this past week, FoodWhat Alum, Uriel Reyes, shared a very personal and articulate assessment of his own path to health and advocacy while offering some deeeeeep nuggets about the role of food in our society today. Good news part two: Excited to be featured in the Pajaronian's Focus on Agriculture section! FoodWhat was featured in the Register Pajaronian's new Focus on Agriculture section this week! Click HERE to read. This was an incredible week for us at FoodWhat and we feel compelled to extend our celebration to each of you reading this as you play a role in this success and impact. It is a true privilege to do this work in, with, and as a part of the many communities we serve from the Pajaro Valley to Santa Cruz. 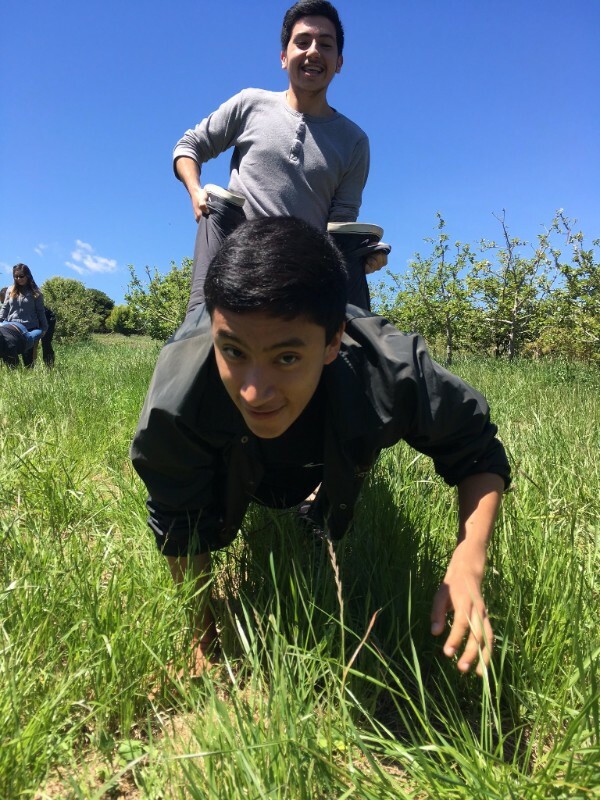 Spring Internship Snapshot: Chew on this! ABOVE: This week's icebreaker was the "Human Knot." Always super fun, and doubles as a metaphor to be used in the financial literacy workshop below on what "debt" feels like (when everyone gets tangled all tight)! This workshop is one that the crew really digs in deep and asks all kinds of questions. We cover credit, debt, banking, credit cards, short and long term financial goals, budgeting to achieve those goals, the Golden Rule of Money ("Don't spend more than you make"), retirement planning and investing. And of course a little celebratory kitchen dancing and singing in honor of all the wonderful Mothers out there this weekend! March: Spring Internship Launch + LEMONS! The rains paused this week to allow us to welcome the largest FoodWhat Spring Internship crew we've ever had! Over 60 youth joined us at our North and South County farm sites to dive into the first day of their 11-week internship at FoodWhat. It's on! Mark from Sequoia High School in Watsonville harvesting Meyer Lemons, fresh!